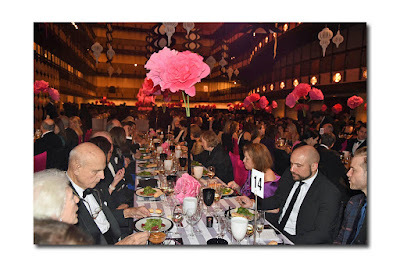 The School of American Ballet (SAB) held its annual Winter Ball on Monday March 6, 2017 at the David Koch hall with the cocktails and red carpet beginning at 7 PM. 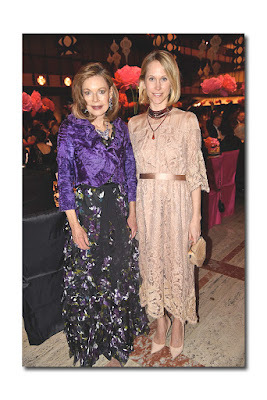 This event marks the beginning of the New York spring gala season and gathers the elite of New York. 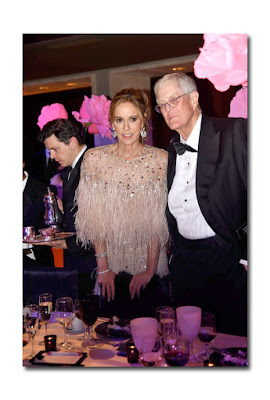 Guests this year included: David and Julia Koch, Margo Langenberg, Indre Rockefeller, Jean Shafiroff, Liz and Jeff Peek, Chelsea Clinton and Mark Mezvinsky, Laura and Will Zeckendorf, Jill and Harry Kargman, Amy Astley, and Coco and Will Kopelman. 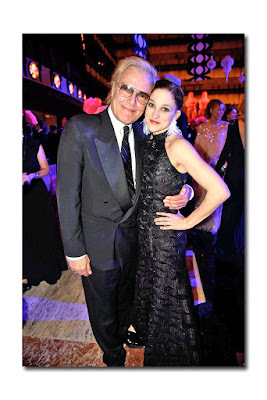 The evening was sponsored by Van Cleef and Arpels for the tenth year in a row and celebrates the friendship between Van Cleef founder, Claude Arpels, and SAB founder, George Balanchine dating back to 1939. Balanchine even created the ballet "Jewels" to memorialize their shared passion for stones. While normally decor would be a footnote to a dance article, the design of the room, executed spectacularly by Ron Wendt, as an ode to the production design of "My Fair Lady," was breathtaking with black and white tables, dance floor, and ceiling ornaments, complementing the hot pink paper flowers and hot pink and black chairs. Black & white, and black & pink are my two favorite color combinations and this hard to impress crowd was duly amazed at the liveliness of the room's color scheme. 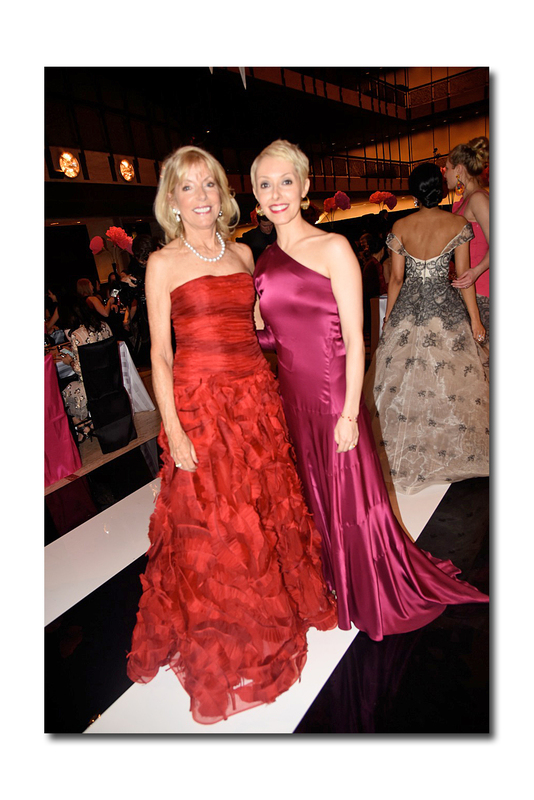 The lovely ladies in the room added to the room's vibrancy with Noreen Ahmad wearing a beautiful floral Zac Posen, Jean Shafiroff in a gorgeous green de Souza and Ashley Bouder in a slinky sequined B. Michael gown. 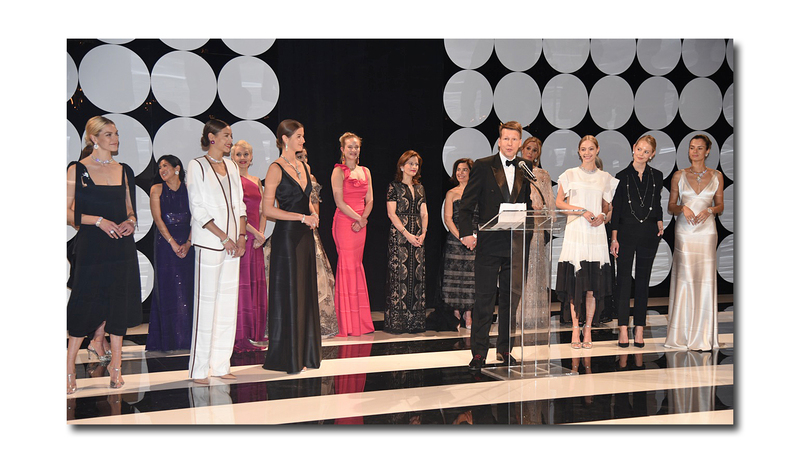 The chairwomen also looked like Academy Award nominees including: Zita Ezpeleta, Julia Koch, Serena Lese, Joyce Giuffra, Renata Garcia, Noreen Ahmad, Amanda Brotman, and Stephanie Linka. This glamorous ball which has taken place for the past 13 years is attended by 500 Patrons and is a tribute to the friendship between Van Cleef and Balanchine. Moreover, it celebrates the young dancers of SAB who rely on the support of donors to attend this premier institution. SAB, the official yet independent training academy of the New York City Ballet, was established in 1934 by legendary choreographer George Balanchine and philanthropist Lincoln Kirstein. Located at Lincoln Center, SAB trains more than 850 young adults ages 6 to 19 annually, and provides $2 million in financial aid to 46% of the student body. Tonight Executive Director, Marjorie Van Dercook, announced that over $1 million was raised to help provide scholarships to these students and we were told of the critical Point Shoe fund which helps students pay for toe shoes which can cost up to $10,000 per year. Peter Martins, the ageless 70-year-old Artistic Director of SAB, reiterated the importance of George Balanchine to the ballet world and said he will never stop talking about this man because "everyone is affected by his aesthetic." He also stressed that SAB is the greatest ballet school in the world with students coming from all over to attend this preeminent academy. Martins introduced far-flung Australian choreographer Alec Knight, who produced a special piece for this evening, and said he came to SAB because the 14 and 15 year old students were spectacular, executing dance moves that were difficult for adult ballerinas. Indeed the students who performed this evening had leg movements and turns that were astounding-with a grace that revealed a maturity way past their teenage years. The dancers were clad in black leotards allowing the precision and expertise of their movements to be adequately viewed. After the dancers received a standing ovation, the DJ started spinning Michael Jackson's "ABC," to which Martins and the young students danced enthusiastically in a circle. While most of the crowd had left by 10 PM there were a smattering of attendees who continued to dance and soak up the excitement of one of the great happenings in New York City - even if it was a Monday night.